With its unabashed homage to classic Spielberg and a grown-up Eighties ingénue in the lead role, Netflix show Stranger Things has become this year’s must-watch. 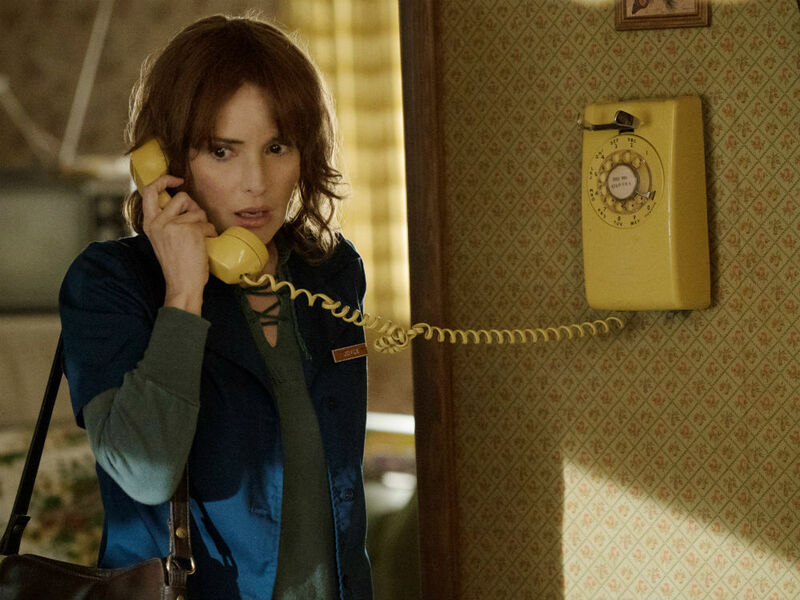 Here’s what happened when we talked to its star Winona Ryder. ‘Oh, I could talk to you about this for hours,’ says Winona Ryder in that familiar crackly voice. I’ve asked if she’s relieved to have come of age before the internet took wing, back when smartphones and the tentacles of social media couldn’t track your every move. ‘I’m grateful that I got to have that time, because it really was a different world,’ she sighs. For a lot of people, Ryder is still crystallised in that world as the ultimate 90s poster girl, with black-and-white shots of her with then-boyfriend Johnny Depp, the millennial yardstick for nonchalant pre-noughties cool (see Instagram on a Thursday for more details). But it’s 28 years since she mooched on screen with black pineapple hair as teenage goth Lydia Deetz in Tim Burton’s 1988 cult hit Beetlejuice and the now 44-year-old is enjoying being the ingénue no longer. She’s played a hardball city councillor in the acclaimed 2015 HBO miniseries Show Me A Hero (where she even chopped off those famously long lashes to look tougher) and Alexandra Milgram in psychological drama Experimenter opposite Peter Sarsgaard. Meanwhile, off-screen, any chatter about a ‘certain incident’ in 2000 has been cleverly nixed by designer Marc Jacobs – whose jumper she was caught shoplifting – when he cast her as the face of his 2016 beauty campaign. So how does it feel to be going back in time to the 80s for your latest role? What attracted you to the role of Joyce? You’ve been acting for 30 years. How have things changed? Younger stars now have to put up with digital intrusion on a huge level. Are you glad you became famous before all that? Can you tell us anything about Beetlejuice 2? Is there anything you’re still itching to do?